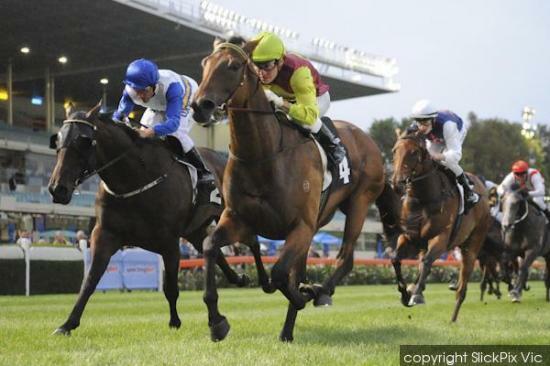 Mightiest was subperb in winning the Final of the Tour Of Vic at Moonee Valley last Friday night and it was a well deserved win for this horse. All along this horse has shown that the ability to win in the metro area was there but he's just been so unlucky in many or his races especially this preparation. All of his runs this time time have been fantastic and he really should have picked up a win prior to Moonee Valley but luck never played a part in any of his runs. Congratulations to his connections on their win and we look forward to many more wins from Mightiest in the near future.